In my last entry about the Tap Race I asked how long Zlý Časy's leadership would last. Actually, it was something I wrote because I thought it would look nice. I never expected that there would be people willing to keep on expanding the offer of draught beer. Well, as it turns out, there were, the Tap Race has a new leader with 30 taps! Prague Beer Museum opened a couple of weeks ago right in the centre of the city, in Dlouhá. I had known about this place already before its opening. Se Padilla, one of its owners, had contacted me to ask a few questions. I met him last summer and he told me about the project. I liked it, I thought it was a pretty good idea, but what I liked the most was Se's attitude. He is someone with a lot of experience in the trade. He has owned and managed several bars, both here and in the US. When he decided he wanted to set up a new place in the spot where Tom-Tom Club used to be, he realised things would not be easy. He told me that most of the cocktail bars he knows are struggling and that these were not good times to open something like that. Then he saw the success that Jáma is having with their new beer suppliers, or Zlý Časy with the 24 taps, and that's how he decided to change plans and do something completely new for him and, because he is not the most prudent kind of person, he set it up with 30 taps. Just like Max Munson, Jáma's owner, before this project Se didn't know anything, nor cared too much about beer (and now he is an enthusiast). What he did know, though, was that if he did things right he could have some really good business in his hands. And since he wanted to do things right, he looked for advice. He contacted the people of Aliance PIV to see what they had to say and here is where I saw another positive side of this story. Although I had heard comments that questioned the sense of this project (the main one, starting from day one with 30 taps at a place that isn't too big to begin with) the members of the Alliance decided they would help instead of critisise. A couple of its representatives visited Prague Beer Museum a few days after its opening and told Se what were the things he should correct. Now I've heard they've invited the pub to be part of the organisation. Good for them! I missed the opening party, which I've heard wasn't too shabby, and decided to wait a couple of weeks before visiting the place. Actually, I didn't go as a client. I had agreed to meet Se to see how things were going and what had been so far the response to the beer list I had helped him put together. Things were going quite well, fortunately. There were still a few things to sort out, but overall it was all working pretty fine. 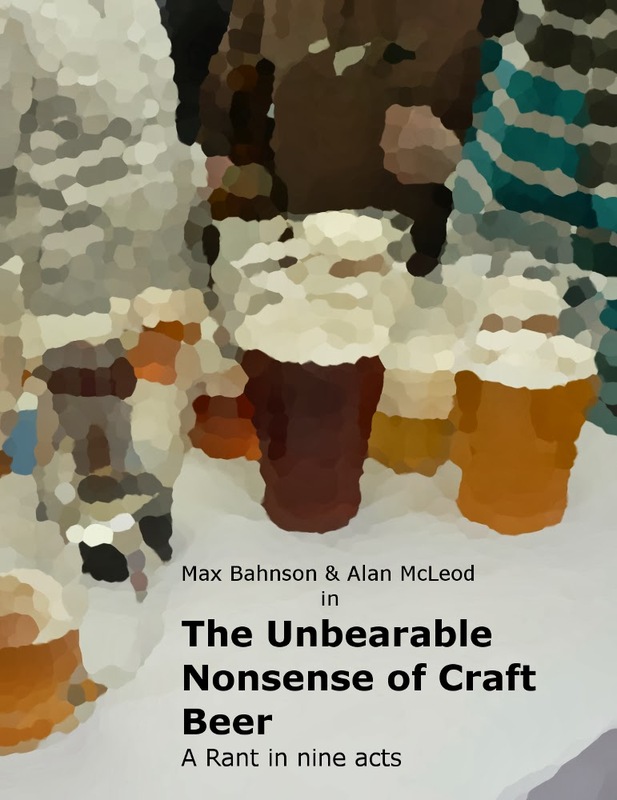 There hadn't been many problems with the rotation or the condition of the beers, which was one of my concerns from the moment I heard about this pub. Still, Se is well aware that it could be an issue once the weather gets warm again and, following the advice of Aliance PIV, he has set as priority no. 1 to install a refrigeration system for the cellar. During the talk I tasted several of the 30 beers available and only one of them wasn't in good condition, it was the one from the barrel that had been tapped the longest. I also asked him which beers had been the most successful. He told me Matuška and Kocour were doing really well despite of their higher price; also the two or three flavoured beers were having a good rotation, neither I, nor Se likes them, but they are quite popular among the female patrons; and the strong beers were a big hit, too, a surprise for everyone there. It was me who told Se he should replace some of the flavoured abherrations with strong beers. I had thought that once people had a couple of pints of something they know, they'll be in the mood to try something different and these kind of beers would be among the first the would choose. It's nice to see I was right. We spoke about a few more things. I recommended some beers for the next list, gave him a couple of contacts and commented on a couple of things I believe should be improved. With everything, including this last point, Se was very receptive. I left the place in a pretty good mood and not (only) because of the beers I had. 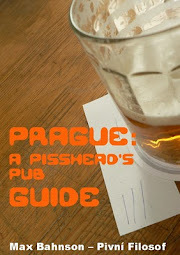 It felt good to be able to help someone who, as I say above, has a lot of experience in this field, but it is still well aware that Prague Beer Museum is something very different to what he's done so far. And he knows that if he wants his new enterprise to be successful, he needs help and support. So, go there, have a look. The place is really nice. If you do visit it, tell me what you thought about it. I promise I will pass forward your comments and criticism, I'm sure they will be welcome.